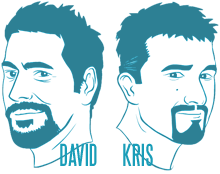 Join David Malki ! 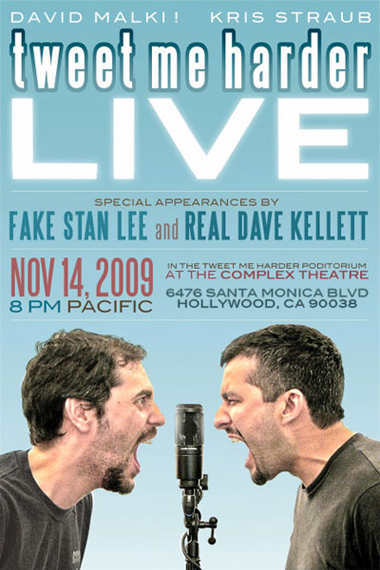 and Kris Straub for the first LIVE on-stage performance of Tweet Me Harder, on November 14, 2009 at 8 PM at The Complex Theatre in Hollywood, CA – with special appearances by Fake Stan Lee and Dave Kellett, friends of Tweet Me Harder (but not each other). Open to the public, TMH LIVE is free to attend. Come out and show your support! You can also share the event with your friends and RSVP on our Facebook event page. Note to Antarctic scientists: if sunny Southern California is too far away for you, you can also tune in here on the site to watch a live stream of the show. Tags: blog. live show. event.